George Michael regretted suing his record label in the 1990s, a new documentary reveals. The star took Sony to court in 1992, claiming he had little control over his work, with the company treating him as “no more than a piece of software”. He eventually lost the case, which put his career on hold for five years. “It dented the armour in his career in America,” said Michael’s friend and former manager, David Austin, who produced the new Channel 4 documentary. The Sony trial coincided with a devastating period in Michael’s personal life, during which his partner Anselmo Feleppa discovered he was HIV positive and, later, died of an Aids-related brain haemorrhage. In the documentary, which Michael was working on 48 hours before his death last Christmas, the star reveals he never fully recovered from Feleppa’s death. He describes the Brazilian designer as his “saviour”, who helped him feel comfortable about his sexuality. But only a few months into their relationship, Feleppa developed a flu that wouldn’t go away. He was advised to take a test and was diagnosed with Aids over Christmas 1991. “I was absolutely devastated to find out he had a terminal illness… just devastated,” Michael says in the documentary, which he co-directed. That same year, Michael’s friend Freddie Mercury, the lead singer of Queen, died of an Aids-related illness. Within months, Michael found himself singing at a tribute concert while facing his own lover’s mortality. “I went out there knowing I had to honour Freddie Mercury and I had to pray for Anselmo,” recalls Michael in the documentary. “I just wanted to die inside. I was so overwhelmed by singing the songs of this man I had worshipped as a child, who had passed away in the same manner my first living partner was going to experience. Michael later wrote the song Jesus To A Child as a tribute to his former lover. 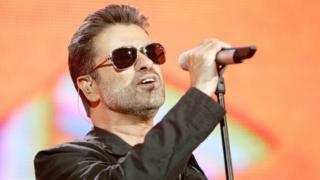 George Michael: Freedom will air on Channel 4 on Monday 16 October. ← Harvey Weinstein scandal: What next for Hollywood?